Ann Barker, BSN, RN, LMT, CTT graduated in 1980 from Iowa Wesleyan College. She worked in a variety of nursing specialties in IA, NC, NH and MA until deciding to turn her focus to wellness rather than dis-ease. 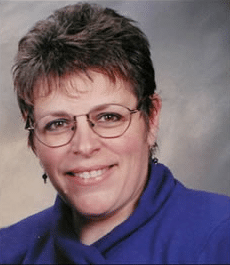 In 1996, Ann earned her Massage Therapy degree from NorthEast Institute of Whole Health and continues to practice licensed massage. Realizing her desire to remain focused on wellness and prevention, she trained at the Thermographic Wellness Academy in 2010 to become a Certified ThermographyTechnician. Ann is the owner of Breast Awareness Imaging, LLC in Nashua, NH. As a member of Breast Thermography International (whose focus is to provide early detection screening that can save lives and promote wellness) and PACT–Professional Academy of Clinical Thermology, (the only non-profit association doing research around the world in the application of thermal imaging) she provides screenings to give important information to balance your health.